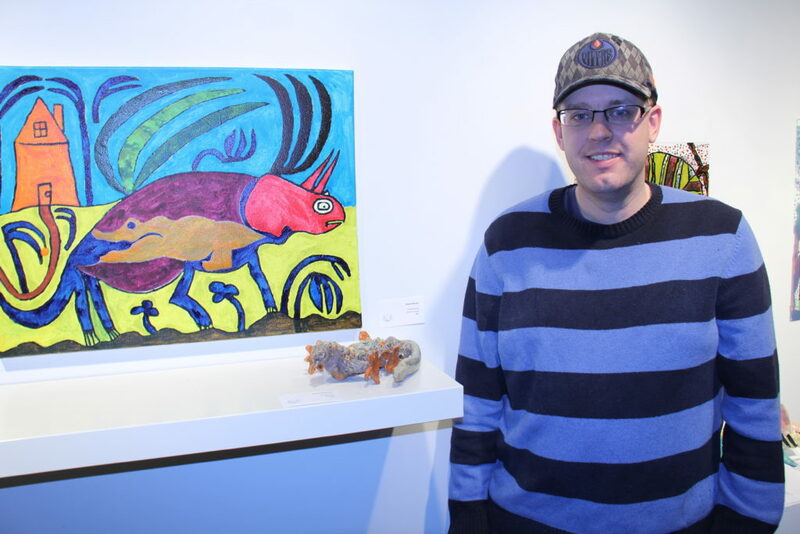 Born and raised in Edmonton, Aaron Harvey initially focused on drawing in pencil crayon when he came to the Nina. Recently, though, he discovered a passion for working in glass. Aaron begins by making a drawing at home and colouring it in, then cuts and pieces the glass in the Nina’s glass studio to complete his designs. He has started coming to the Nina four days a week and is clearly excited to be spending more time doing what he loves. Aaron worked on the permanent display at the East Edmonton Health Centre. He drew the jungles grasses for one of the large murals commissioned for this new community health facility. When he is not making art, Aaron takes computer courses and enjoys bowling, movies, and visiting his mother.